To the best of my knowledge, the HTC 10 is the only phone that remains under warranty even if its bootloader is unlocked. 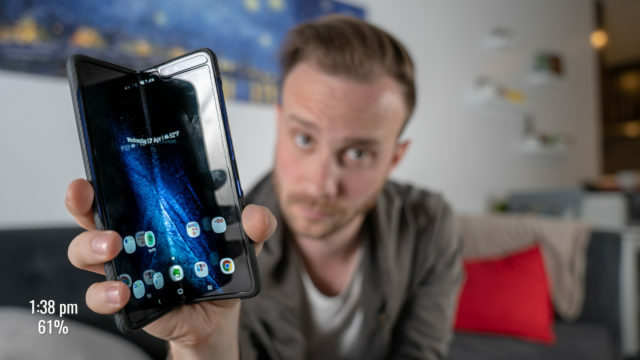 That means, you can go ahead and unlock the bootloader and do whatever you want on your phone – as long as you aren’t damaging it – and it’ll still remain covered by the warranty. 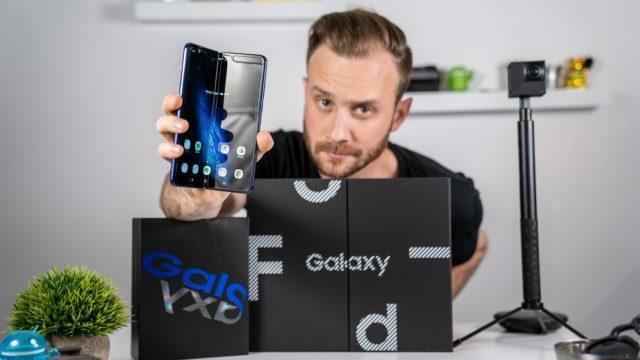 It’s the flagship phone of the year by the Taiwan based company that’s been releasing some really nice phones in its One series in the past few years. The phone has full metal body, is 9mm thick, and has BoomSound for your music. For those of you who love gaming on a smartphone, the phone has got 4GB of RAM and Adreno 530 GPU for a really smooth experience playing games, as well. On the software side, the phone runs the latest Android 6.0.1 Marshmallow and on top of that is the HTC’s user-interface called HTC Sense. 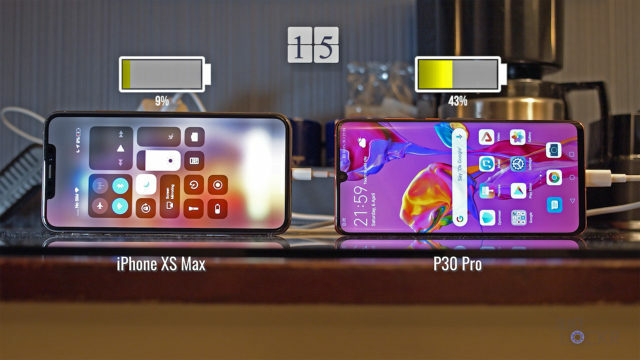 There’s a lot to talk about the features of the phone and there’re even more features available that can be added to it by rooting it. If you root your HTC 10, it allows you to load the root-only apps on your phone, flash a customized version of the OS AKA a custom ROM, flash a custom kernel, and even remove the stock apps and the HTC Sense UI if you aren’t that of a fan of HTC’s customized version of Android. 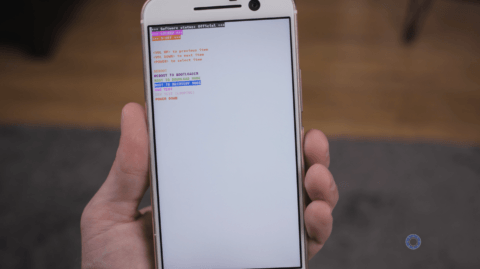 What’s more, getting root on the HTC 10 involves officially unlocking the bootloader, flashing a recovery, and then installing Chainfire’s SuperSU to actually root the phone. 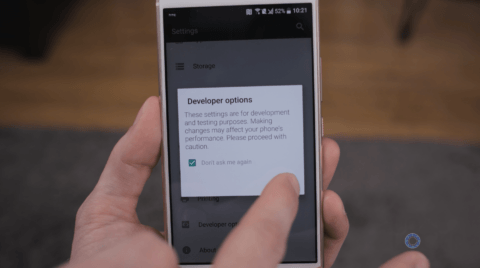 If you’re ready to get started, here’s the written tutorial and a video done by David to help you root your HTC 10. I’m using Windows for this tutorial but you can use Mac by downloading the Mac ADB setup and following the steps for command prompt in terminal instead (with the ./ in front of each command). This should erase the data stored on your device. So, please backup everything that you don’t want to lose. On your phone, head to this URL below to download Sunshine. After it downloads, head to Settings > Security > Allow Apps from Unknown Sources. Now, tap the notification that it downloaded by pulling it down from the top of the screen and it should start to install. Once it does, open it and follow the steps for it to do its magic. 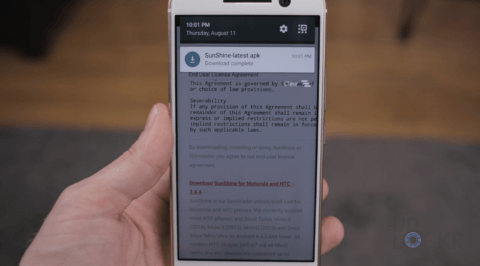 Note: You can alternatively unlock your HTC 10 bootloader if it is eligible as Sunshine does cost $25. To do so, you can head to the HTCDev Bootloader Unlock website and log-in to your account or create a new account if you don’t already have one and follow the instructions there to unlock the bootloader. 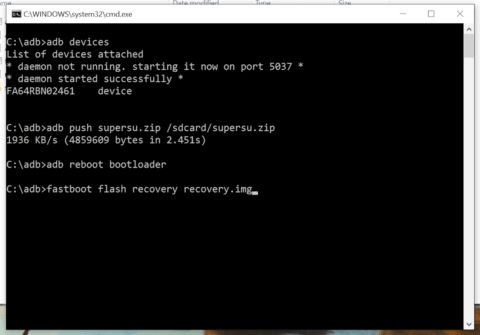 Now that we have S-Off (or an unlocked bootloader if you went that route), you can flash a custom recovery on your device and use it to install SuperSU to root the phone. Here’s how to do that. Now, we need to setup ADB and the drivers so our computer can talk to our phone. On the phone, go to Settings > About and tap repeatedly on Build Number until it tells you you are a developer. Tap Back and tap on the new Developer Options that has appeared. Turn on USB Debugging and OEM Unlocking. Plug the phone into your computer via USB and let the drivers install. 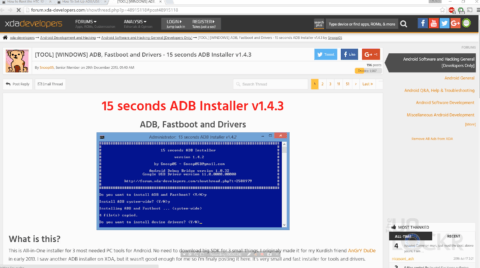 After that, head to my How to Setup ADB tutorial, finish it (takes 5 mins), and return here. 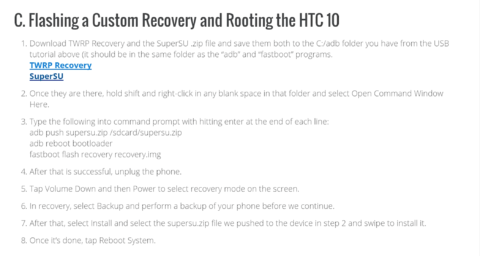 Download TWRP Recovery and the SuperSU .zip file and save them both to the C:/adb folder you have from the USB tutorial above (it should be in the same folder as the “adb” and “fastboot” programs. 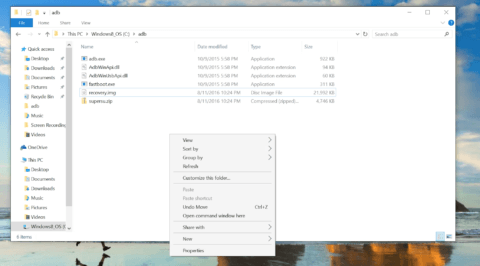 Once they are there, hold shift and right-click in any blank space in that folder and select Open Command Window Here. After that is successful, unplug the phone. (If it got stuck at waiting for device at this point, download the HTC drivers, install them, unplug and replug in the phone and try again). Tap Volume Down and then Power to select recovery mode on the screen. In recovery, select Backup and perform a backup of your phone before we continue. After that, select Install and select the supersu.zip file we pushed to the device in step 2 and swipe to install it. Once it’s done, tap Reboot System. And your HTC 10 is now rooted! 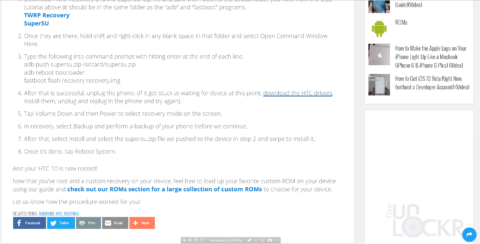 Now that you’ve root and a custom recovery on your device, feel free to load up your favorite custom ROM on your device using our guide and check out our ROMs section for a large collection of custom ROMs to choose for your device. Let us know how the procedure worked for you! Thanks! Yeah, that’s sort of why I went with Sunshine as the main method because I figured, even though it costs money, it’s going to give you the most freedom from then out. Ha, I’m working on the unrooting video, it’s getting quite complicated thanks to that encryption… Coming soon though! So, if I’m reading this correctly (I don’t have my 10 yet, should get it any day now) if you follow the HTC dev you lose encryption? Sounds normal perhaps, but more important, if I don’t want encryption will it hinder me shomehow? Correct you’ll lose the encryption it’s on by default and we can’t do what we need to with it on. Afterwards you just can’t put it back on at the moment. Thanks for the clarification; won’t be a problem for me, I don’t think I want it encrypted anyhow! Thank you for a clear well put together guide! I tried Hiro Macro, SU check check and the SU install apk. 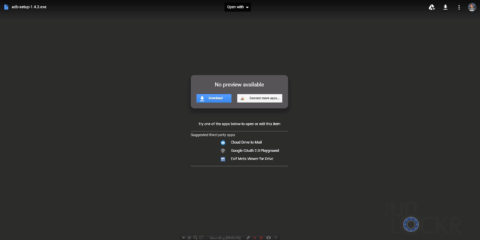 Try reinstalling SuperSU. Frankly though if you have root over USB you should have it in the ROM. Maybe stupid question, But I still could find a clear answer. 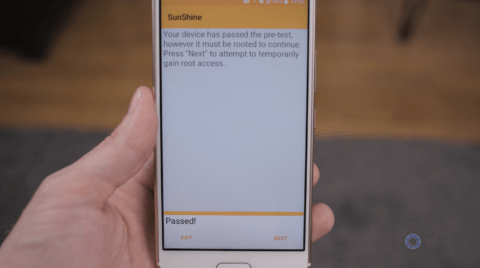 If I used Sunshine to S-Off, then flashed TWRP and then SU to get root… will I still loose the data ? note that I didn’t use HTCDev and my device is still with Locked BL, I don’t want to go for unlocking the BL route as I’m sure this will wipe the data. You might not have to erase data but there is a good chance you will or at least should. If you are concerned about losing data then any rooting method for the most part is going to do that. I rooted the HTC 10, then made mistake and now it stucks when booting with frozen HTC logo. I can manga to reboot with vloume down and power key pushed to come into download mode, from there switch to all other modes, also to revovery mode, did all, even factory reset and format data. But nothing helps. Still same. But it reamains in S-OFF. So I tried to go through the whole process again, with driver installation, etc. No I am stucking at the point where the serial number should araise on the phone. I remains in any ever mode I left it before (frozen, odr downolad mode, or booloader mode or recovery mode). So I tried to ignore that and continued. Result: adb device could not be found. Any idea/solution? I am totally lost now. 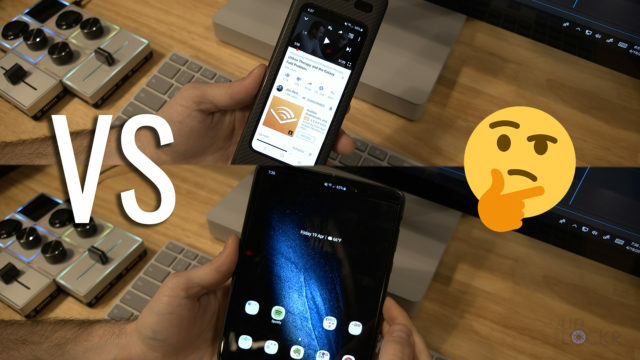 Does this work for Android 7? It’s been a while since this was done. You’ll have to either try it or check forums to see since I no longer have the phone. I have a sprint HTC bolt and I’m using a mac do you have files for that? Sunshine doesn’t want to work with my phone? I do have the boot loader until locked all ready. This isn’t for the Bolt. Check online for how to root the Sprint Bolt. Go into Download Mode before flashing Recovery. After unlocking my bootloader, flashed a new recovery twrp I tried to enter the recovery mode. It keeps showing a red message saying “This build is for development purposes only” with an HTC logo and after a while reboots to bootloader menu without allowing me to enter recovery mode. After the reboot, it says “reboot reason: 0x776655aa, reboot message: RPM:APPS NS-WD!”. I needed to install TWRP from their website because the one you had wasn’t bootable. then I backed up my data, and install the su zip you linked to. My phone went into a boot loop, and restoring the backup isn’t helping. I also tried using wipe on TWRP, that didn’t work either. could you help me? if not do you think I could still get help from HTC? So can I root it and upon restart have it appear exactly as it had previously? Hi. 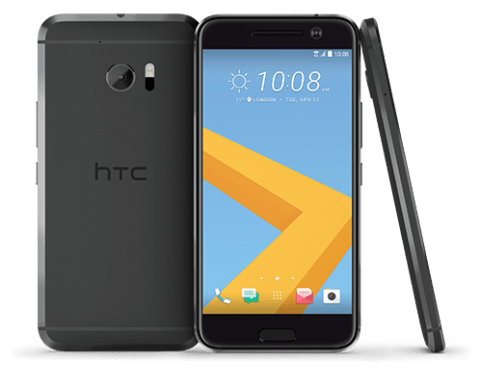 I am in Australia and have purchased a HTC 10 Desire Lifestyle online. When I received it and started to use it, I found it is set up for another country. I have had a lot of trouble with it. I am considering rooting it. I understand the instructions in your YouTube video, I’m just wondering if you could tell me what I would need to do next to get the phone working properly for Australia? I hope this makes sense.